The Lotus Lantern Festival is held annually around Buddha’s birthday in the areas of Jongno, Seoul and Jogyesa Temple. 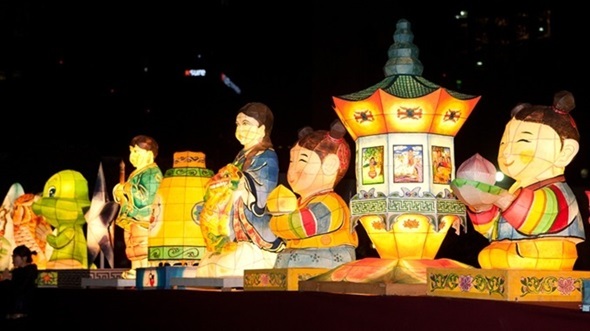 A spectacular lantern parade starts from the Dongdaemun History & Culture Park towards Jogyesa Temple. Chwita (Korean tranditional music played by wind and percussion instruments) and samulnori (Korean traditional percussion music) performances following the parade uplift the vibe of the festival.